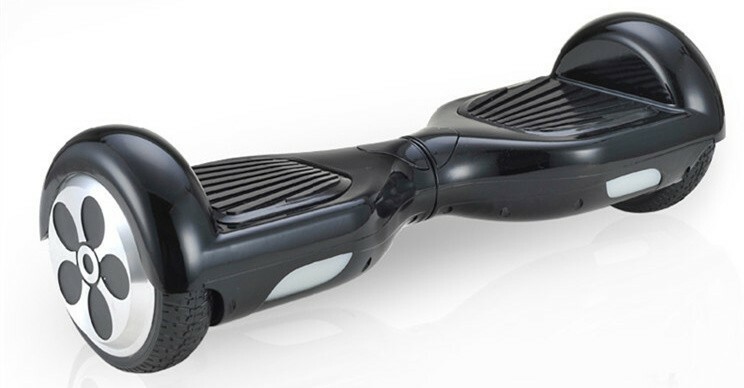 It’s the newest trend in tech right now: rideables. Gogoro has recently unveiled the world’s first Smart Scooter, and we’re totally taken with the sleek design. 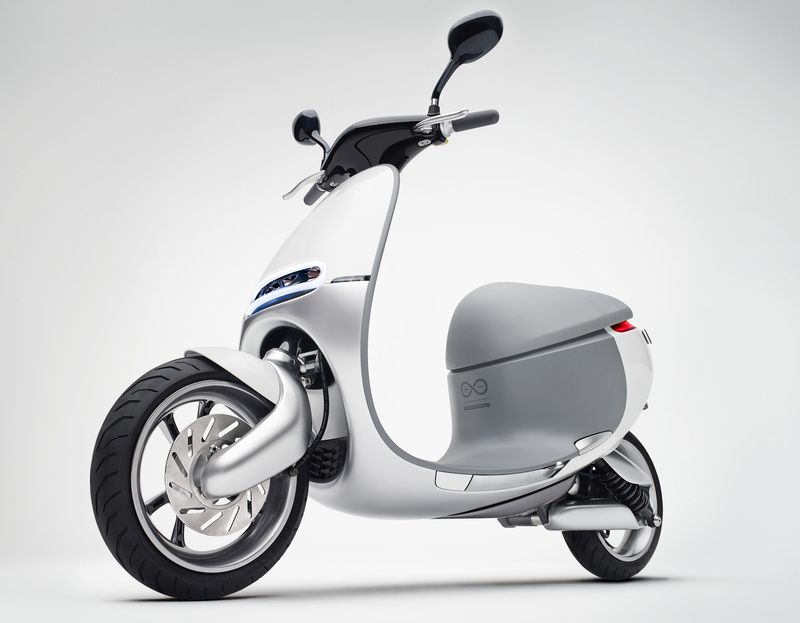 But with instant torque and zero harmful emissions, Gogoro’s take on the scooter goes beyond aesthetics. Their new scooter has the ability to go from 0 to 50 km/h in 4.2 seconds and a top speed of 95 km/h. It’s no slouch in performance, and it’s electric motor contains an ultra-compact, innovative design, and an integrated cooling system. It’s the first of its kind on the market. In addition to speed and aerodynamics, the Smartscooter has 80 sensors and smart systems in place, and is connected to a cloud network, so you can keep track of your rides, monitor systems, or get diagnostics. The scooter has a Smart mode that analyzes your unique riding patterns, and even tunes your torque to suit you. It’s not a hoverboard, but riding one is pretty close! 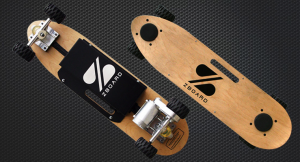 The ZBoard is a weight sensing electric skateboard, that’s easy and fun to ride. Just lean forward to go; lean back to stop. Simple and lightweight, and super fun. The ZBoard looks like a regular skatebord, but there’s more to it than meets the eye. Foot pads on the deck in the front and rear control the board. Each foot pad evaluates how much weight is being applied by the rider and dictates the speed accordingly. This device is similar to the Z Board electric skateboard, but rather than moving sideways, this device moves forward. Imagine a Segway without handlebars. That’s basically how the self balancing scooters work, only more mobile, more agile, and more fun. The market is currently flooded with knock-offs of the originial Moto G version, and the reviews indicate that there’s no real difference between the $1,300.00 version and it’s $500.00 counterpart. The scooters use weight sensing food pads to detect which way you want to move, and how fast you want to go. 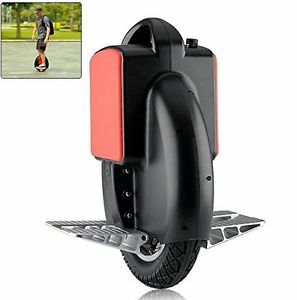 A nifty gyroscope within the scooter keeps you upright. Who would have thought the unicycle would ever be cool? It’s about the size of a briefcase and battery powered, the Airwheel X3 is the self-balancing electric unicycle that’s making the unicycle trendy again. With a lithium battery, an internal gyroscope, and nifty folding petals, the Airwheel X3 is a fun take on rideable tech. This unicycle can actually tilt up to 45 degrees without faltering. It has intelligent tilting protection to prevent falls if the rider accidentally goes over the 45 degree limit. Recently, Lexus released an ad for it’s new Lexus Slide. 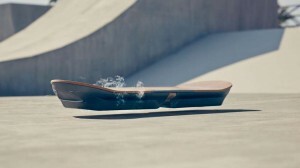 It’s possibly the coolest piece of rideable tech we’ve seen yet; it’s a hoverboard! Using ultra compact mag-lev technology, the Slide smoothly hovers over a specially built skatepark. How does it work? High-temperature superconducting blocks are housed in cryostats. Reservoirs of liquid nitrogen cool the superconductors to a brisk -197 degrees celsius. The board is cooled to it’s operating tempurature and placed above a track that contains permanent magnets, and the tracks magnetic flux lines are ‘pinned’ into place, which maintains the hover height of the board. The tech in this board is straight out of sci-fi, and although the board only works on specially built, magnetic tracks, it’s still incredible in action. These are just some of the cool new trends in rideable tech, but new innovations are still on the way this year including awesome versions of the above items that are more reasonably priced. We’re not quite at Back to the Future’s version of 2015, but looking at some of these rideables makes it feel like we’re pretty damn close. For more on the coolest gadgets and the latest in tech, check back with The Computer Guru Show for more Gadget Watch!